‘Open Access’ images of Africa? Home › ‘Open Access’ images of Africa? photographs make up a part of a huge although highly decentralized visual archive which is open-ended and still dynamically in the making. 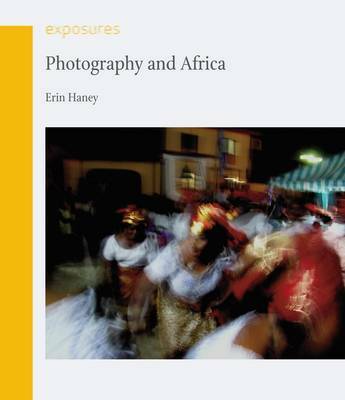 Jurg provided links to a fascinating project, ‘African Photography’ which he co-founded with Erin Haney. Their site aims to provide a central place for images of West and Central Africa. Given the importance of African historical photographs for West and Central African history and history of visual culture, it is lamentable that the photographs themselves and the information referring to them are widely scattered in repositories in Africa, Europe, and the United States. Evidently, the material to write a history of African photography is “there” – yet too often we do not know where exactly to find it. Haney’s PhD thesis demonstrates the footwork required to access many images that were held in private hands. It reproduces fragile images from across the Gold Coast. In contrast, the photoCLEC project has explored the use of photography and postcolonial memory in museums. Academics used collections in museums in Britain, the Netherlands and Norway. The University of Southern California hosts the ‘international mission photography archive’ which includes photographs from missions across West Africa, such as this image from a photo album of a former missionary during her work in Imo state, 1934. I’m not a specialist visual historian, but I am excited by the potential that historians have suggested lies in the visual image. For example, Ian Grosvenor argues photographs challenge policy-driven historical narrative, a theme in (some) histories of colonial Africa. Yet some of the most interesting sites, less ‘clean’ than the formally administered, and often providing limited information about sources, are privately established and (possibly) temporary. For example, the tumblr ‘Nigerian Nostalgia’puts together material across time frames. The owner brings together a wide range of images, from colonial era postcards to (what appear to be) post-second world war images seeking to promote British ‘development’ investment, to postcolonial ‘snaps’ that appear largely unstaged. Online searches also reveal this collection of French Empire Exhibition ephemera (including, but not limited to, photographs) on an unlikely webhost.Or this site, primarily aimed at tourists, but including a large collection of photography that was produced as colonial-era postcards (citing the permission of the Senegalese state archive). I think that these sites raise questions about non-academic audiences for these images, and also questions about the lack of accessibility of many images held in archives. For example, the Rhodes House, Oxford, colonial history collections include many photographs donated by former colonial officials. My experience working on the archives was that images could only be reproduced through an expensive university process. This effectively closed off these pictures to many potential viewers. In contrast, sites like Nigerian Nostalgia offer a kind of open access to (some) visual histories. I’m really interested in what readers think about these different ways of displaying images. How accessible should historical images of Africa be, and what websites have you seen that you would recommend?